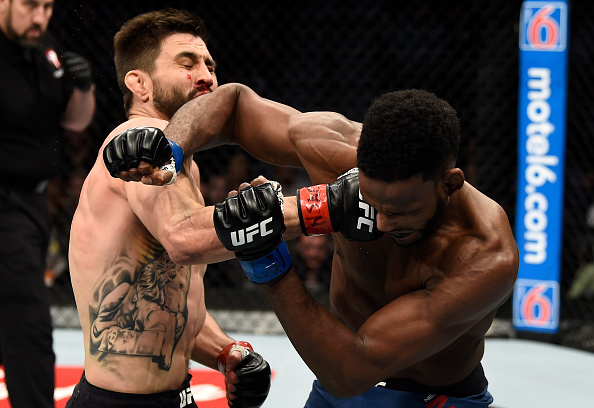 Carlos Condit didn’t say it publicly but, for a moment, he thought his fighting career was over after a December 2017 loss to Neil Magny. The former interim UFC welterweight champion was coming off a 16-month layoff leading up to the UFC 219 bout in Las Vegas, but that didn’t explain his performance that night, at least not to him. He also had a different opponent for this Saturday’s co-main event in Glendale, Arizona, as he was slated to face Matt Brown in a bout fans have been waiting to see for years. It’s a fight Condit wanted to, making it the perfect reason to put retirement on the back burner. But that’s not why he decided he still had something left in the basement and something more to give to the sport. But the Fight Gods have a funny way of taking nice things away from us, so earlier this month, Brown tore his ACL and was forced out of the bout. That’s the bad news. The good news is that Condit got a new opponent in the form of Alex “Cowboy” Oliveira. Can the Brazilian still bring out the best in “The Natural Born Killer”? That may be the highest compliment Condit can give an opponent, and it’s clear that when it comes to the actual fighting part of this sport, he’s still the same kid who ran through the WEC in 2007-08 before making his way to the Octagon to put on classics with the likes of Martin Kampmann, Rory MacDonald, Nick Diaz, Georges St-Pierre, Johny Hendricks and Robbie Lawler. He laughs, happy to make that walk again and get into a fistfight. For him, it’s not about titles and money fights and rankings. 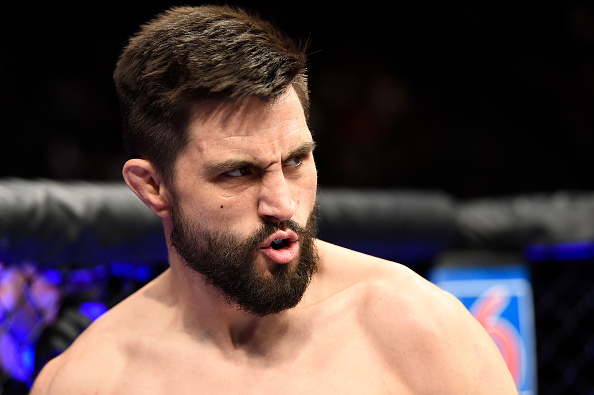 At 33, Carlos Condit just wants to fight.